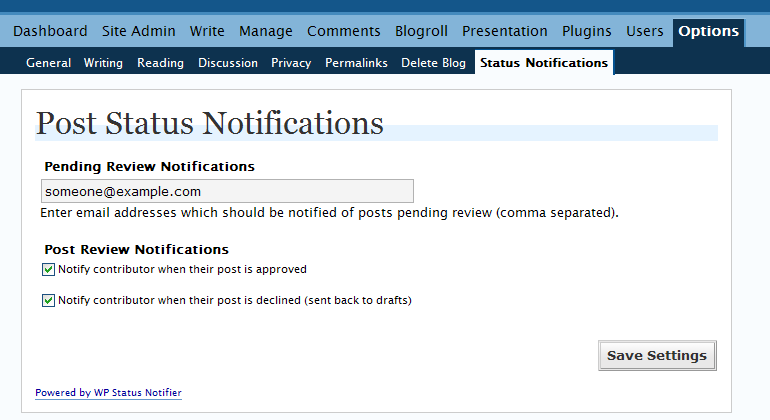 WP Status Notifier will send notifications of posts pending review by contributors to given email address as well as also notify the contributors about their post on whether accepted or rejected. The plug-in plays an important role at the time for moderation in blogs with multiple contributors. No need to manually check posts waiting for approval. Includes a link to edit and/or approve the post in the notification email. Optionally notifies contributors of the moderation status. The plugin requires no database access and adds almost zero overhead. Simple configuration options. Doesn’t require editing any .php files. Advanced Access Manager is a very powerful and flexible Access Control tool for your WordPress website, allowing you to restrict user access to your WordPress website’s front-end and back-end. The plug-in supports Single WordPress installation and Multisite setup, managing user roles, capabilities and even taking care of on who will access to posts, pages and custom post types. Co-Authors Plus lets you assign multiple bylines to posts, pages and custom post types via a search-as-you-type input box. The plug-in lets co-authored posts appear on a co-author’s archive page and in their feed. Assign multiple bylines to posts, pages, and custom post types via a search-as-you-type input box. Co-authors may edit the posts they are associated with. Co-authors who are contributors may only edit posts if they have not been published. 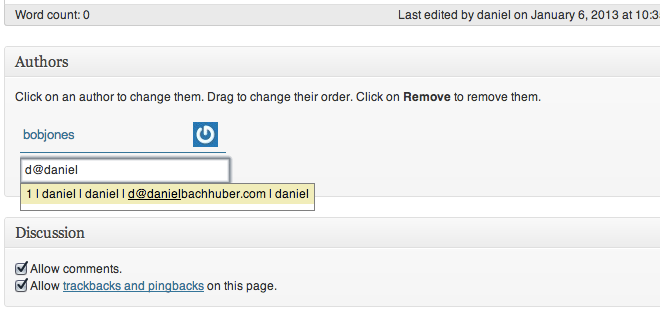 Add writers as bylines without creating WordPress user accounts. The Editorial Calendar gives you an overview of your blog, making it possible to see all your posts and drag and drop them to manage your blog. 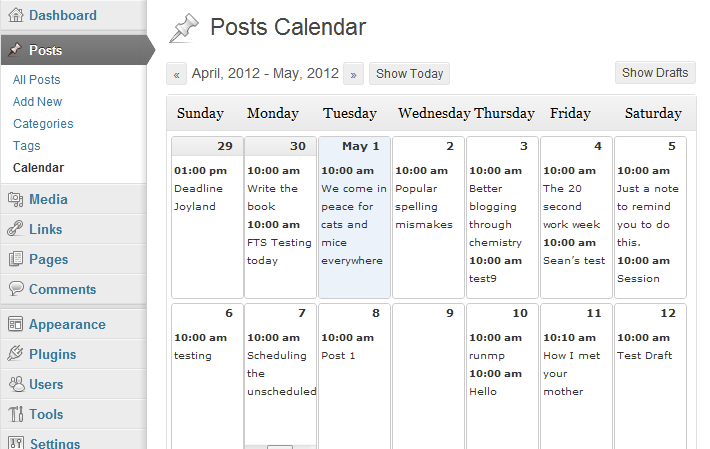 You can drag and drop to move posts, edit posts right in the calendar, and manage your entire blog.